We are successfully meeting the varied requirements of our clients by providing the best quality range of Water Based Paint. Backed by a team of well qualified and experienced professionals, we are engaged in offering a wide array of Bawa Water Base Silver Paint to our respected customers. Thinning: As Mentioned in "Directions for Use". We are amongst the leading processors of Water Thinnable Paints, which are used in automobile and industrial applications. Including air drying & stoving paints, our range is known for features like superior moisture & solvent resistance. These are stringently tested before being supplied to the clients to ensure their optimum quality. We are willingly offering a wide collection of Damp Proof Coatings that can be available in various colors as per the requirements. The offered coatings are processed using supreme class chemicals as per the set quality norm at most suitable condition. Our coatings are tested on various quality parameters to ensure its quality. We are betrothed in offering our reputed customers a comprehensive range of optimum quality Water Based Underbody Paint. The offered array of is formulated by our experts in adherence with the global quality guidelines & standards. We are the dynamic, quality-oriented organization, ranking among the utmost entities in presenting a wide assortment of Water Based Paint. 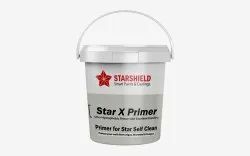 Remove paint from many surfaces utilizing the physical energy released in a chemical reaction to break the bond between the coating and the substrate. Lifts the paint off and allows it to be washed away. We are highly experienced firm widely known for the quality of our offered Water Based Esdee Paint. 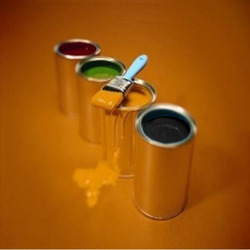 For processing of these paints, our vendors make use of high grade ingredients. Water based graphite coating for SG and CI. Physical Properties – Metallic black appearance, low viscosity, smooth brushability. Chemical Properties – Good adherence to substrate, no cracking even on heating, no balling on brushing.